Data recovery is the process of salvaging data that has been lost, accidentally deleted, formatted, corrupted, or become inaccessible for any reasons. Usually lost data can be recovered from storage media such as internal or external hard disks, USB flash drive, RAID, SD card, etc. Since Windows 95, there has been a Recycle Bin used to temporarily store deleted files, so that users can recover them at any time. However, some users are still inclined to delete files by pressing Shift key and Delete key together, after which files can’t be restored from Recycle Bin. And the question is what happens to these files deleted by “shift + delete”. Are they permanently erased from the hard drive? Files removed by “Delete” key are redirected to Recycle Bin, for the entry in the files system is changed from the actual location to Recycle Bin. And yet, the entries of those files deleted by “Shift + Delete” are deleted from the directory, marking the space as free where new data can be written. Even so, files are still not erased permanently, and as long as they are not overwritten, we have chance to recover them. 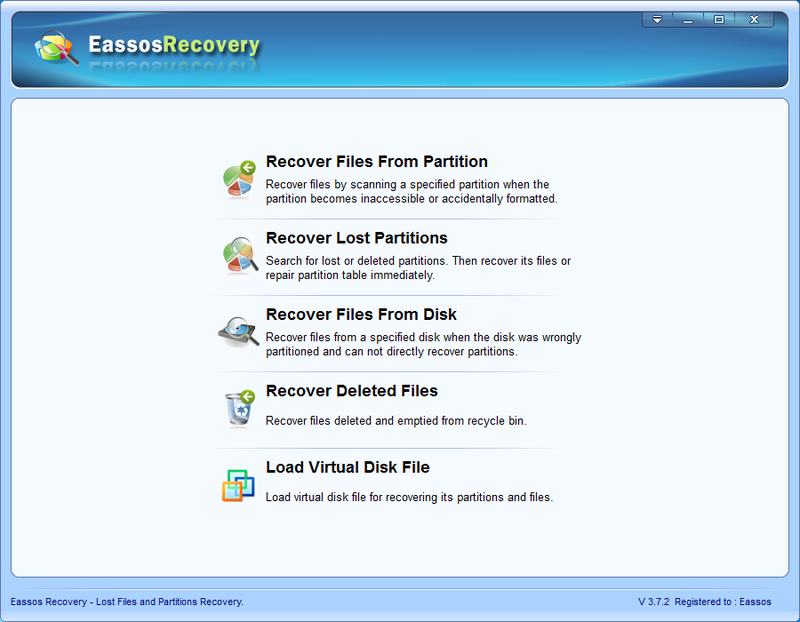 File recovery needs the help of a high-quality recovery tool, and Eassos Recovery can be one. 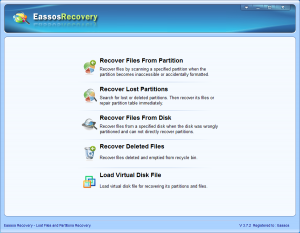 Eassos Recovery has a specially designed data recovery mode “Recover Deleted Files” to recover files either deleted by “shift + Delete” or emptied form Recycle Bin. Besides, it allows you to search for specific file types. 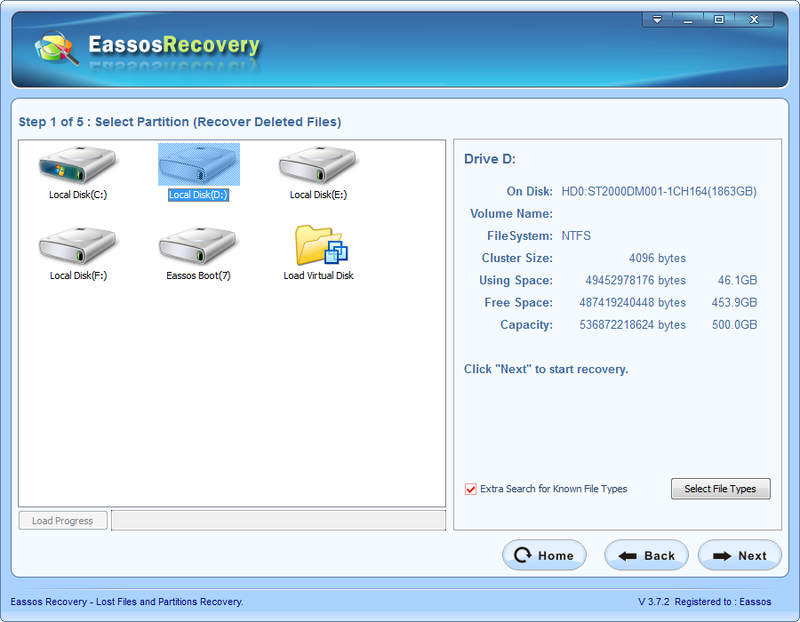 Step 2: Select the partition to scanning deleted files. Step 3: Copy desired files to a safe location. 1. Do not save important data to system partition. Operating system, while working, has read and write operations, thus, deleted files might be overwritten by system at any time. 2. After files get deleted, stop any operations like save and copy files. 3. 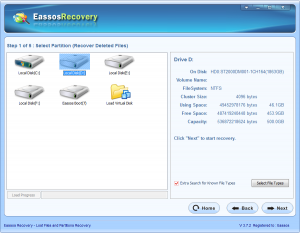 Recover data as soon as possible. 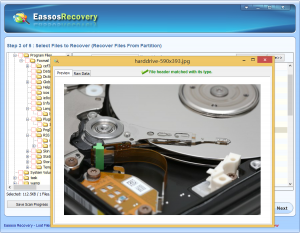 Use data recovery software scanning and recovering data. And it is suggested that computer should store data recovery software for emergency. This entry was posted in Data Recovery and tagged data recovery software, file recovery, recover deleted files, shfit + delete by EASSOS. Bookmark the permalink.